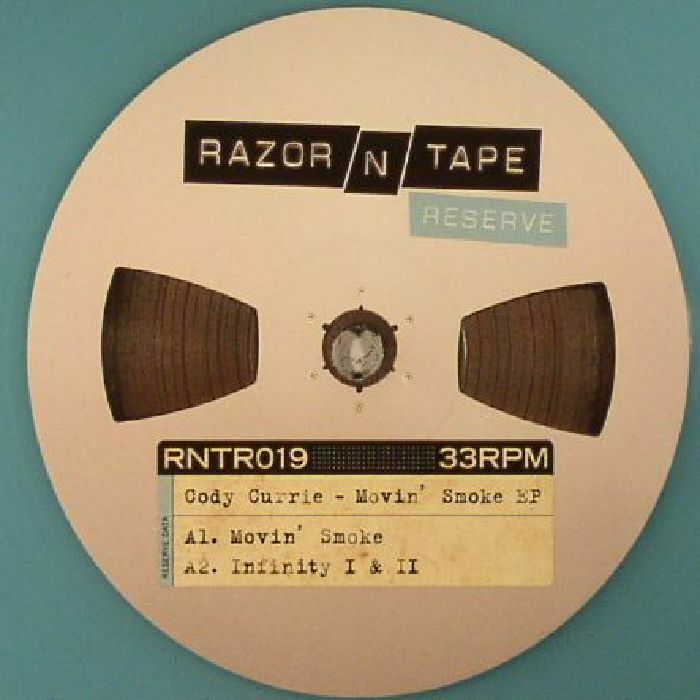 Cody CURRIE Movin Smoke EP vinyl at Juno Records. Formato: transparent blue vinyl 12"
On the two releases we've heard to date, Cody Currie has barely put a foot wrong, delivering a string of tracks that brilliantly join the dots between dusty, soul-flecked U.S deep house and hip-hop style sample-based beat jams. 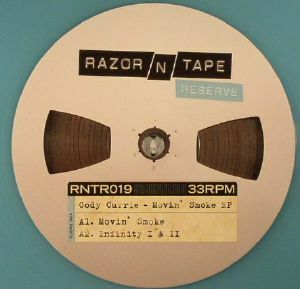 For this outing on Razor 'n' Tape Reserve, he applies the same approach to the world of disco and boogie. So, we get the rolling, sun-kissed warmth and gentle filter tweakery of wide-eyed disco house shuffler "Movin' Smoke", the slack-tuned jazz snares, swirling chords and bubbly synthesizer samples of "Infinity I & II" and the swirling, string-drenched orchestral disco-house bounce of "Magic City". Arguably best of all, though, is the more driving "Make Love", where Currie's ability to select and manipulate samples within a bumping deep house framework is best exemplified.